You have made it to Tropical North Queensland, and to Cairns, so here are some ideas to explore the city of Cairns itself. After you have been to the Great Barrier Reef, one of the seven wonders of the natural world and an Australian treasure, gone to the Daintree Rainforest, a UNESCO World Heritage site and explored the Village in the Rainforest, Kuranda, you will want to have some time to see what to explore in Cairns and what the city itself has to offer. 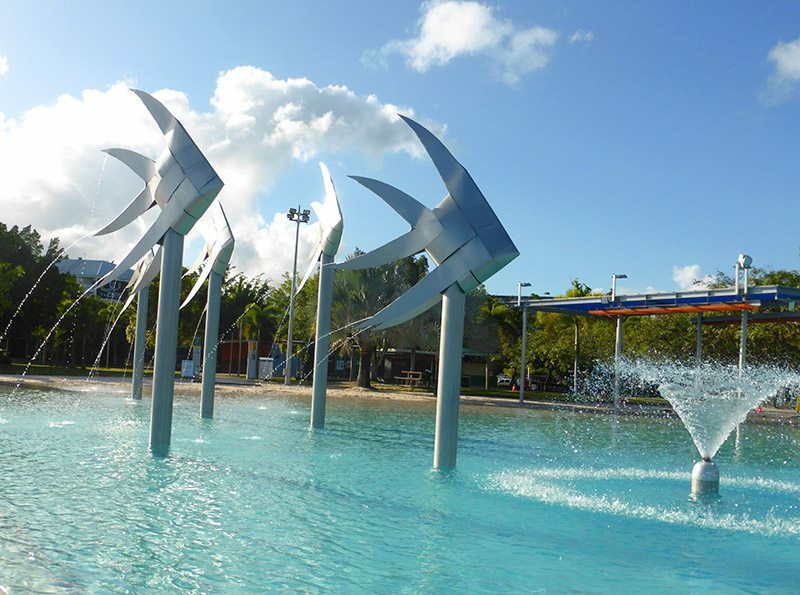 There are many fantastic things to do in Cairns, and many Cairns tourist attractions to suit all ages. There are also lots of things to do in Cairns for free. 10 Explore Cairns, Visit Cairns because Cairns is all right. 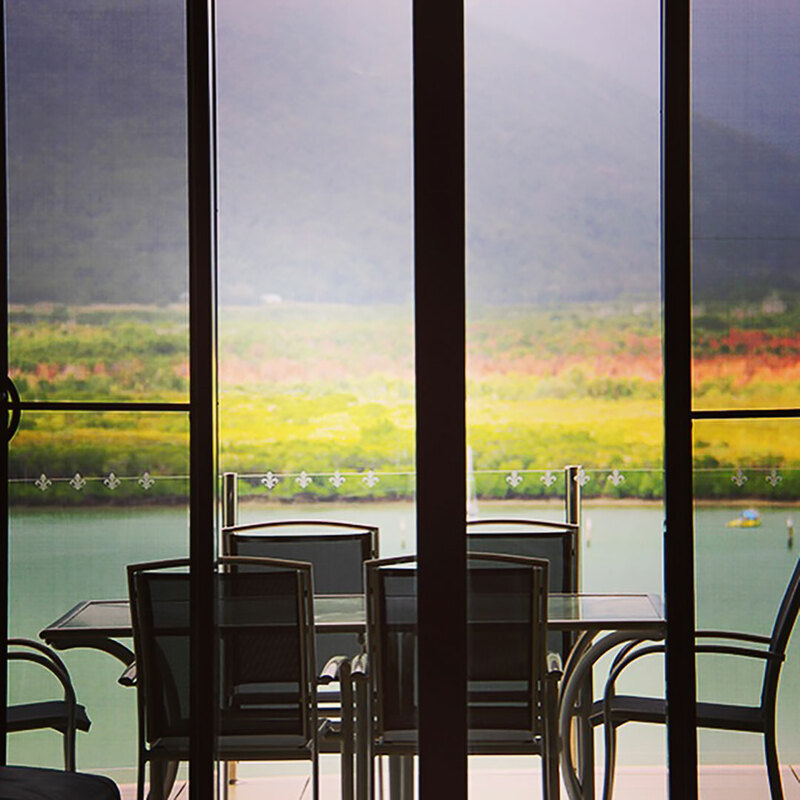 We explored Cairns for 3 days and have compiled these ideas for you. Before we get started, these are our observations about Cairns. Cairns does things beautifully. The Esplanade is amazing, the streets are clean, and the Botanic Garden blows your mind. This is a multicultural city and the visitors are multicultural. There is a total mix of backpackers, families and older travelers. Cairns is touristy because it needs to be. Visitors want to buy souvenirs. They want to buy croc jerky, and fluffy koalas and there is nothing wrong with that. Cairns is geared to the tourist. There are so many tour agencies wanting to take you to the Great Barrier Reef, the Daintree and more. We have asked around, and have not heard of any definite don’t touch with a barge pole companies. It would appear that like Cairns itself, everything is pretty slick. I didn’t expect that I would like Cairns as much as I did. By the 3rd day of this visit, I had developed a liking for this city, enough to want to return. Australia is not a cheap county, so getting to Cairns should be cost effective. All recommendations in this guide to CAIRNS CITY are designed to be able to be walked, with just one bus ride. Cairns is flat so if mobility is a problem it will be easier, and there are park benches everywhere to stop and have a break. There are also water fountains, and the water is safe to drink. 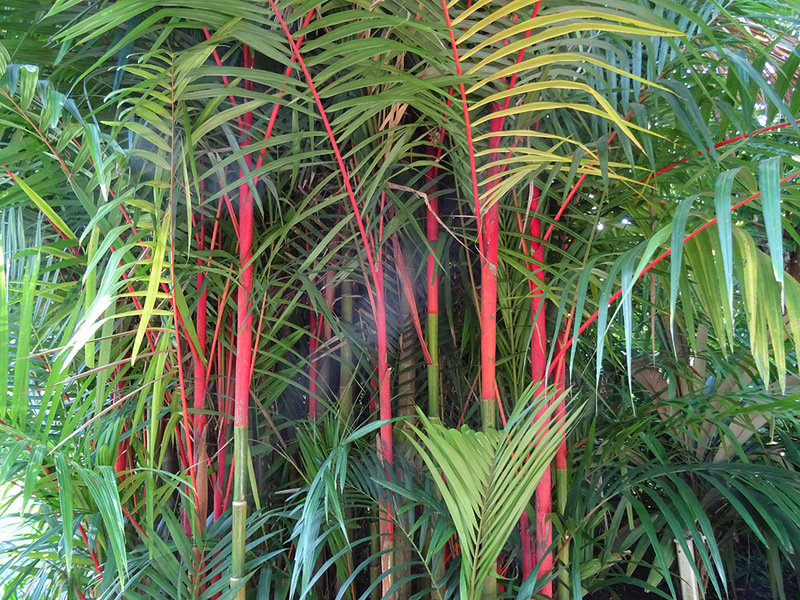 All details for the bus ride to the Cairns Botanic Gardens are given later in this post. Australia dollar. Check currency exchange rates, and international tourists will be very happy. XE currency exchange. Innumerable breakfast places. We recommend the following two, based on personal experience. However, we are recommending a hole in the wall genuine Thai place, where you can eat outside or takeaway. Also, we recommend one of Cairns oldest Japanese Restaurants, who serve seafood with the typical Japanese attention to detail. We add in a restaurant because they are amazing views and have great food. From luxury to tacky souvenirs, you have it all. This is “Cairns”, everything happens at The Esplanade. Everyone ends up at the Esplanade, whether promenading, walking, sunbaking, listening to music, or having a swim at the Lagoon, because surprisingly Cairns has no beach. This is the place to walk from one end to the other and back again and you will never be disappointed at this water frontage attraction. As mentioned Cairns does not have a beach; these can be found slightly out of town. However, Cairns has a lagoon. This Lagoon is located at The Esplanade and it is a big attraction in this hot and tropical climate. The Lagoon is 4800sq m salt water swimming facility that offers an all-year round, safe, swimming location without stingers and crocodiles. The Lagoon is filled with salt water from the Trinity Inlet, which is filtered through a state-of-the-art filtration system. We don’t have kids, but if we did, we would take them to Muddy’s Playground. Muddy’s playground is themed “Life in Trinity Bay” and the playground includes water play areas plus a flying fox, sound chimes, track ride, rope bridge, slides, play houses, story telling areas, see-saw, trick track and puzzle games. 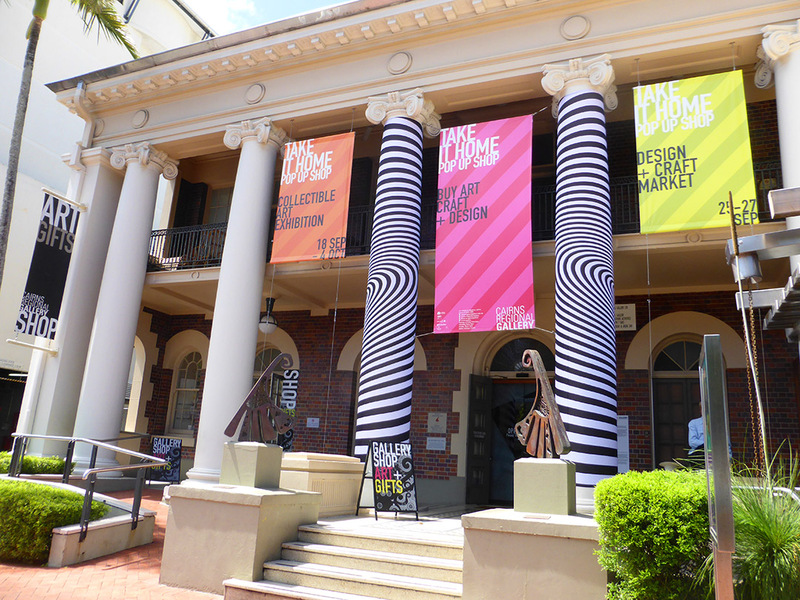 Housed in a landmark heritage building in the middle of the city, the Cairns Regional Art Gallery focuses on the unique cultural heritage of Far North Queensland. There are contemporary and traditional exhibitions. This is the chance to see how multicultural Cairns is. This market starts when the sun goes down and each year 2.7million visitors go through the markets. The Cairns Wildlife Dome is a spectacular all-weather wildlife exhibit, encased by a 20-metre high glass dome on the rooftop of the prominent Reef Hotel Casino, right in the heart of Cairns. The Cairns ZOOm takes this to a higher level by having where you experience a challenging Ropes Course at different heights within the Dome so that birds and tourists can interact, appreciate and be educated about our native fauna while having an exhilarating experience. I am saving this until last because it is amazing. This is a slightly longer walk, about 4kms from the Esplanade but totally achievable and worth it. However, I would advice taking the bus from the city center. Cairns is hot and humid and the walk is relatively long. Also, as the Cairns Botanic Gardens is set in 38 hectares, you will do enough walking when you get there. 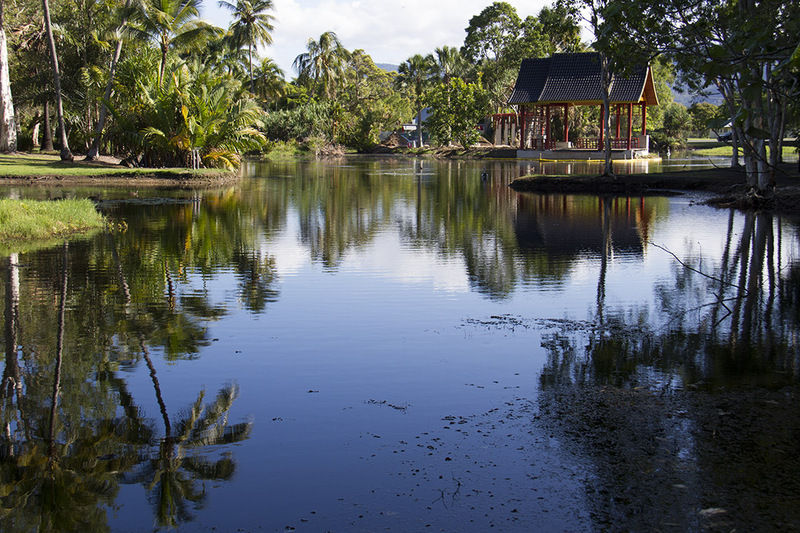 The Cairns Botanic Gardens comprises the Flecker Garde, Centenary Lakes, Saltwater and Freshwater, The Rainforest Boardwalk, Mount Whitfield Conservation Park, and The Gondwanan Heritage Garden. We walked around all of it, and were totally amazed at the scope and variety of the garden. 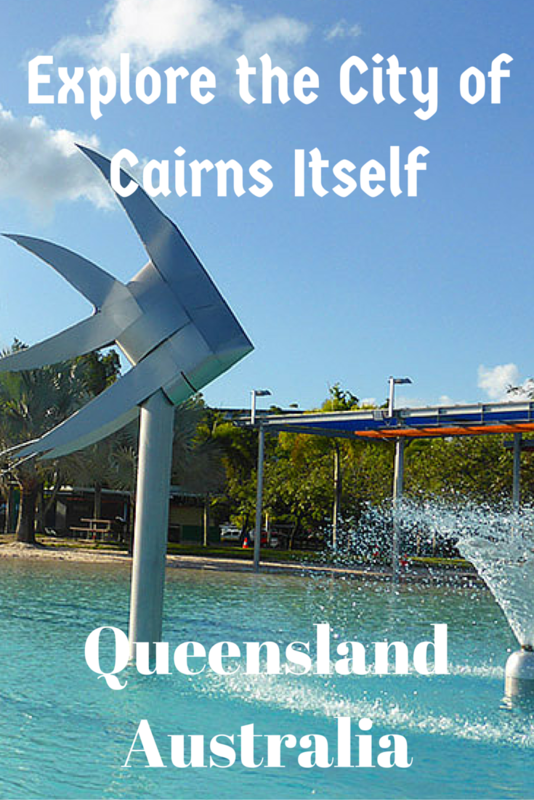 Explore Cairns, Visit Cairns because Cairns is all right. Do You know of other places we should have added? Want to refer to this post later? Pin the image below to Pinterest! We were in Cairns last year and also enjoyed it. We loved the Esplanade and walking around it. There was also great shopping at the night markets. We did use Cairns as a base to the outlying islands and to see the attractions around Kuranda. I wish we had more time to explore too. The botanic garden looks beautiful. We’d love to return. Cairns is nice city and the markets were fun, especially sampling some of the different foods. So awesome. I dig the pond image the most. If I had to mix tropics and convenience I’d have t think Australia. Really. Thailand rocks for that but you guys bring it up 1 more level. Thanks much for sharing. Thanks Ryan, we loved that image too. I am pleased you noted the share this button, it was irritating me too. Have changed it, let me know what you think. Such a lovely photo of the Botanic Gardens! We went there on our last day in Cairns, and it was definitely a highlight. We also really enjoyed our time in Cairns. I was only staying there as a gateway to the Great Barrier Reef and was pleasantly surprised to find that I enjoyed the city for itself. We were also a little weary of Asia at the time and LOVED being in such a Western city with good sandwiches and meat pies. We did the Esplanade and Lagoon, but now I’m sorry that we missed the Botanic Gardens after seeing your photos. I remember after some time in Vietnam where I did love the food, I was craving a toastie so much. Cairns is nice to explore. 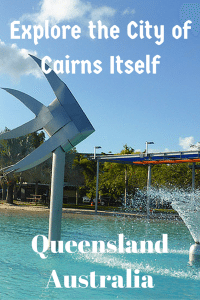 We have been to Cairns many times, usually as a starting point for staying on Great Barrier Reef Islands, but we always save a few days for Cairns itself. It is a great place to see. Thanks for the comprehensive guide – I can’t think of anything you have left out. Thanks Lyn, it was the first time I have really explored the city itself. 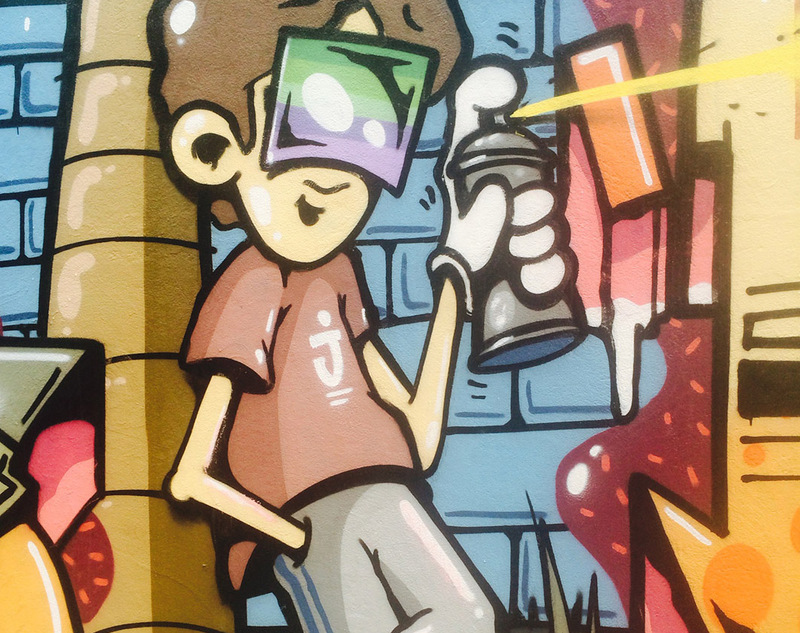 I think that many people are unaware that on days off, that there is a lot to do in the actual city. That is a real problem when resorts are so far away from the action. I love being in the centre of everything, and totally loved our apartment. Favourite? The Botanic Garden was amazing for sure. Thanks for this! I’ve always used Cairns as a stop off for getting to other spots in Australia like the Great Barrier Reef, and we also did a trip to Cape York last year, though haven’t actually explored properly even though we’ve been through a few times. Will have to put 3 days aside for Cairns itself next time. Thanks! I think that most people do use Cairns as a base for a lot of exploration of some amazing parts of Australia. However, when you have some down time, the city is pretty special to explore. Paula, I’m quite impressed with Cairns, based on your description. Diving the Reef is one of our dreams and as we are not the type to miss exploring the area I really appreciate knowing what the city is like and what there is to do. Do you think two days is enough for Cairns? You will love diving the reef but will also enjoy Cairns as a base city. It really is very appealing. The ZOOm sounds interesting specially the rope courses inside. I’m wondering though, why is it called a zoom? Partially because it has a small zoo inside, which I might not have mentioned clearly. Lots of great info here! Would love to visit that wildlife dome. It is all worth a visit. 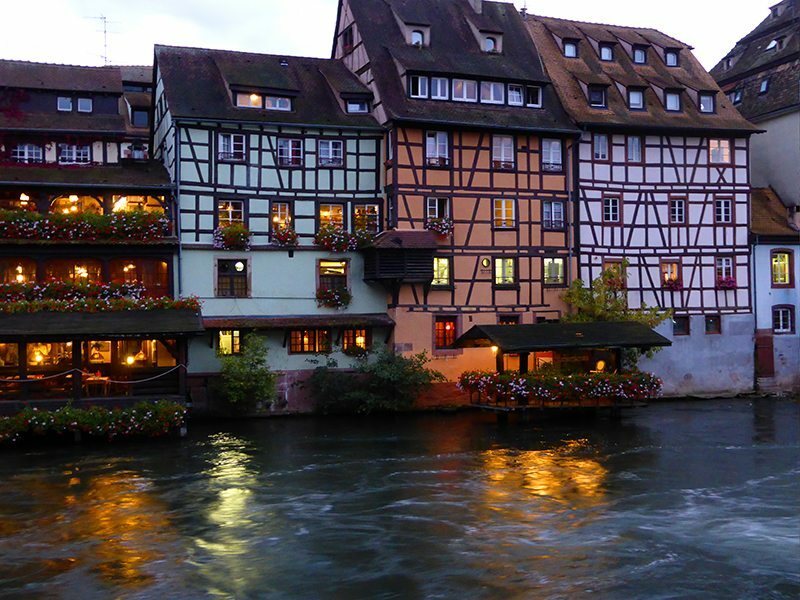 This is a very beautiful area of the world. The fish fountain sculpture is beautiful and I’d love to visit those botanical gardens, thanks for this travel inspiration! The fish fountain sculptures are just beautiful and look so good where they are located. The Botanic Gardens are stunning. I love the lagoon – a great way to get the feel of the ocean with far less risk for little ones. It is a lovely place to visit and such a handy location for the Great Barrier Reef and Daintree. The lagoon is safe for everyone because Cairns doesn’t have its own beach and at times in the year, you can’t swim at the nearby beaches because of the stingers. I’ve yet to visit Australia, but I hope to visit Cairns when I do. I’ve mostly heard about Cairns because of the Great Barrier Reef, but you introduce some new things for me to add to the list. The Botanic Gardens look amazing. There is a lot to do in Tropical North Queensland. I hope you get to experience how amazing it is one day. I hope to visit Cairns on my next trip. The Botanic Gardens are so beautiful! That are actually so much better than what I expected. Well worth spending a day or more there. I’m so excited! My daughter is migrating to Australia next year. Just like the three years she spent in the UK when I got to explore it extensively, I will do the same down under. And this about Cairns makes me want to go sooner rather than later! Carol you will love it here and what a lovely excuse to visit. Hopefully we might get to catch up. I also agree with you, the botanical garden looks so nice! Cairns seems like a nice city to hang out in. I love clean cities as well. It is also great that Cairns is surrounded by beautiful nature. I’m sure it gives the city a more relaxing feeling. Cairns has a lot going for it, and being the gateway to such iconic sites as the Great Barrier Reef, Daintree, the Wetlands and Kuranda mean that visitors from all over the world do come to the city. The fact that the city is very nice is a big help. 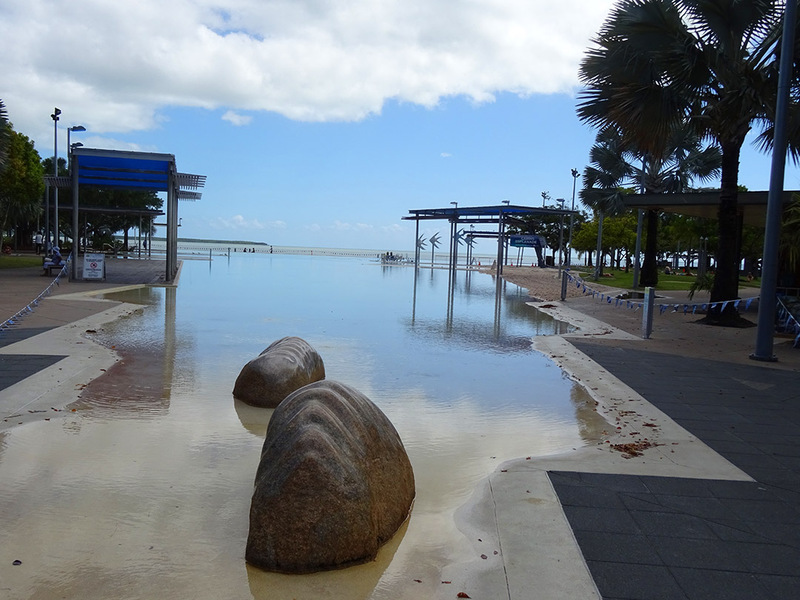 I visited Cairns years ago, before the foreshore, and esplanade were done up. I would love to go back and take my son. I really enjoyed going on a 4WD tour through the Daintree and snorkelling on the Great Barrier Reef. Cairns has improved dramatically and is a lovely city to visit. You will be very pleasantly surprised with the Esplanade,the gardens and the cafes. We really enjoyed Cairns when we visited. The Botanical Gardens are just stunning! Queensland really does have it all! The Botanical Gardens were a great discovery, as was the Tanks Art Centre within the gardens. I have an upcoming post that covers our entire road trip around the Atherton Tablelands and Cairns so hopeful it will give you some more ideas. Paula I haven’t been to Queensland at all yet, but it is a place I hope to visit within the next year or so. I’d like to see as much as I could in a two or three week period so might need a few pointers when I’m ready to plan it, but it will surely include Cairns. Thank you for linking up with us at #TheWeeklyPostcard. Thanks Lyn, I have more information coming and yes i think 2-3 weeks will give you a really good feel for Tropical North Queensland.